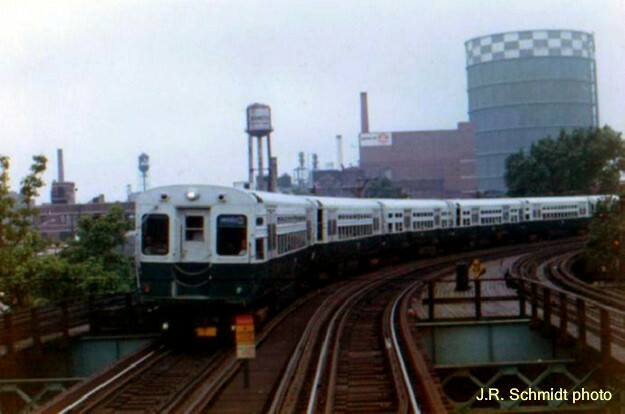 A few weeks ago Lee Bey posted a great video of a 1970s ride on the Dan Ryan Red Line. That inspired me to digitalize some of my old Chicago ‘L’ home movies. Right up front, I’m offering a warning—my films are strictly amateur. I’m not a film-maker, and my equipment was a tiny, hand-held Super-Eight silent movie camera. Since I had to change cassettes every four minutes, there are many gaps in the action. I’m sharing the video because it provides a look at how some parts of Chicago have changed in the course of three decades. Today’s film shows the second half of a 1981 ride on the Ravenswood ‘L’ (Brown Line), from Roscoe junction to the Loop. It runs about 8 minutes, and includes audio commentary.